This component was caught up in a cascade failure at high temperatures, causing separation of the alloy and re-crystallisation. Failure analysis using scanning electron microscopy clearly reveals the thermal gradient across the sample, with smaller grains on the left indicating higher temperatures. By using the back-scattered electron detector, the contrast in the image is sensitive to the atomic number of the sample. 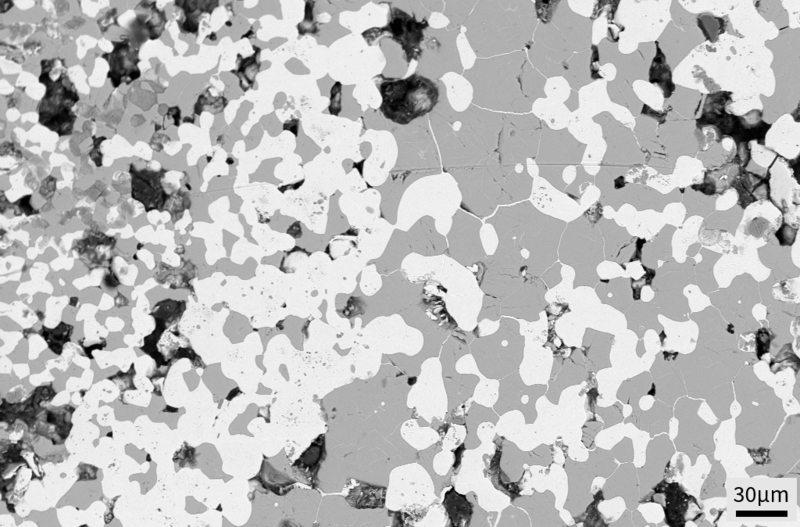 On the right we can see nickel nucleating at grain boundaries, showing as bright cracks between the darker molybdenum/chromium grains.